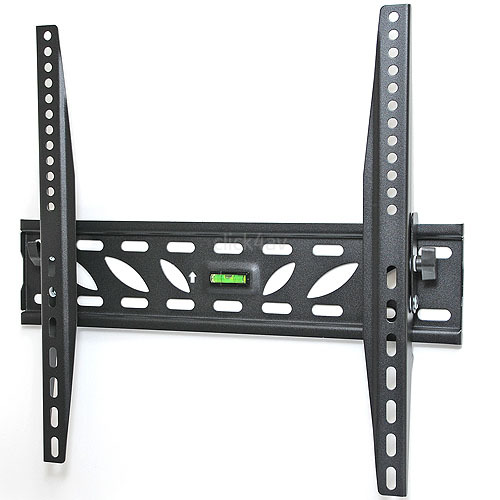 A slim TV wall mount bracket with tilt function and suitable for most 39 to 55 inch flat screens up to 50kg. 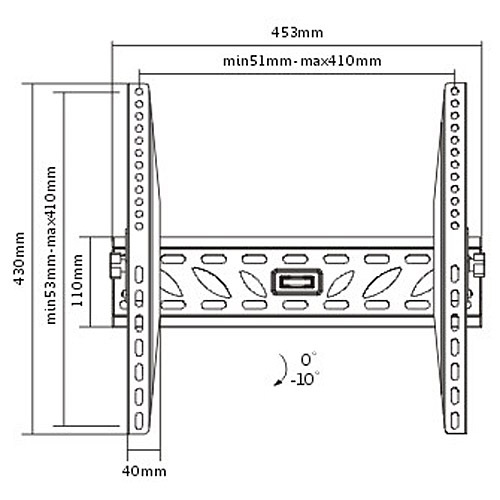 It has a low profile of just 44mm and offers up to 10 degrees tilt down. 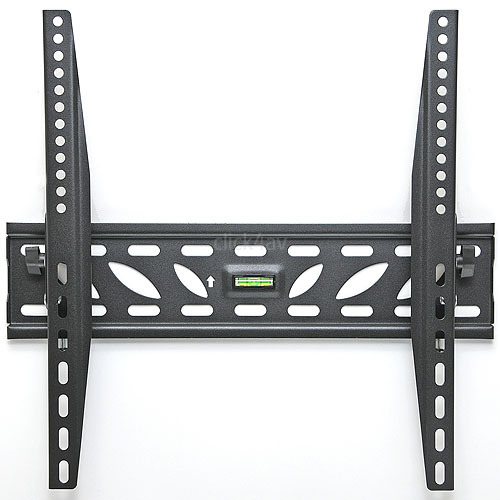 Perfect for installations where the screen is mounted higher and a better viewing angle is required. 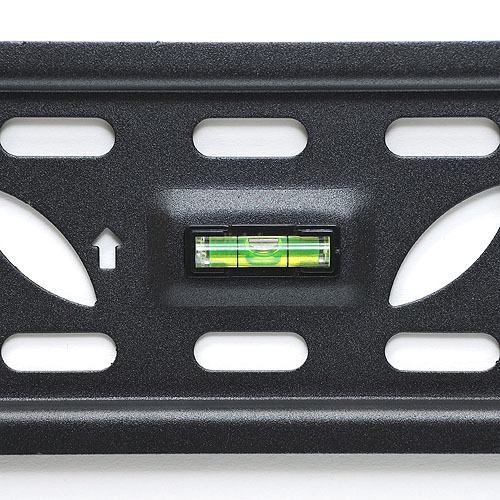 The strong pressed steel mounting plate has plenty of wall fixing points to get a good grip on tricky walls. 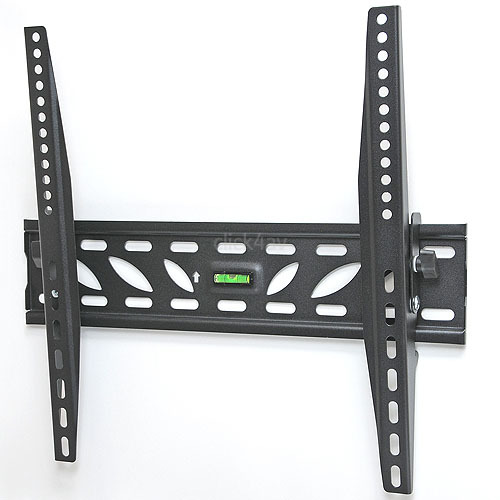 The tilt function is operated by thumb screws - no tools required for adjustment. 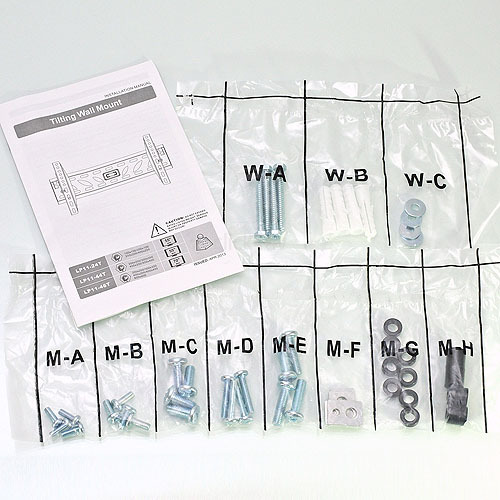 Supplied with wall fixing kit, manual and fixing bolts to attach your TV.